A shrewd investigator and an expert marksman, Special Agent Alexandra LaDuca can handle any case the FBI gives her. Or can she? While on loan from the U.S. Department of the Treasury, Alex is tapped to accompany a Secret Service team during an American Presidential visit to Ukraine. Her assignment: to keep personal watch over Yuri Federov, the most charming and most notorious gangster in the region. Against her better judgment―and fighting a feeling that she’s being manipulated―she leaves for Ukraine. But there are more parts to this dangerous mission than anyone suspects, and connecting the dots takes Alex across three continents and through some life-altering discoveries about herself, her work, her faith, and her future. 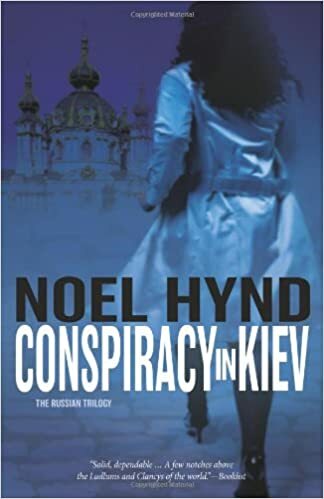 Conspiracy in Kiev―from the first double-cross to the stunning final pages―is the kind of solid, fast-paced espionage thriller only Noel Hynd can write. For those who have never read Noel Hynd, this first book in The Russian Trilogy is the perfect place to start.